A graduate of the University of Sunderland, Gary Waller is one of many mature student success stories from across the country. In his own words, he tells of the transformative part higher education has played in his life and career. "Before going to university, I served for seven years in the Royal Engineers as a plant operator, then 12 years at Nissan working on the production line, and 10 years working as a taxi driver. But I always had bigger ambitions, which I was able to realise at the University of Sunderland. I decided to attend university to prove something to myself. I left school with few qualifications and I also wanted to improve my job prospects. "While at Sunderland I applied for a part time job at Liebherr through the University’s Careers and Employability Service. 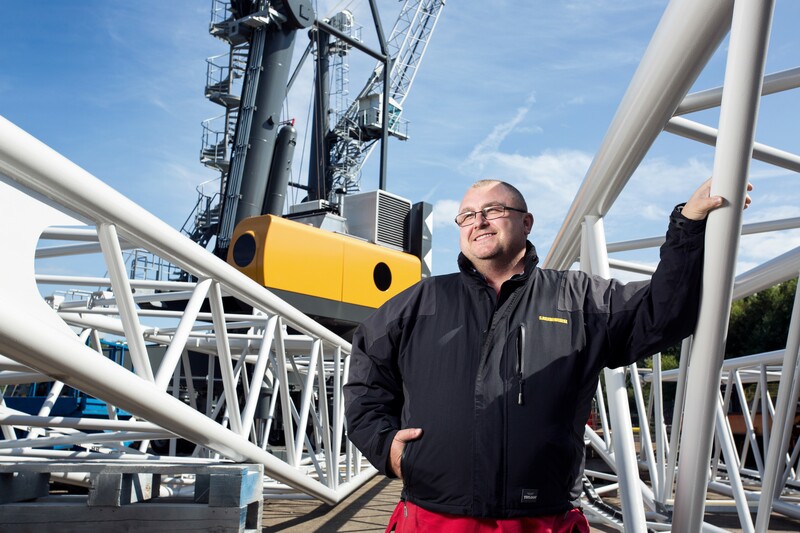 Effectively I started to work for Liebherr while I was in my second year at Sunderland, and now I am the Logistics Manager. I would recommend enrolling onto a degree programme to anyone who has a desire to educate themselves and improve their career prospects. In fact, I’ve encouraged members of my own family to go to the University of Sunderland in order to fulfil their potential. Some of them are now graduates or current students at the university themselves."